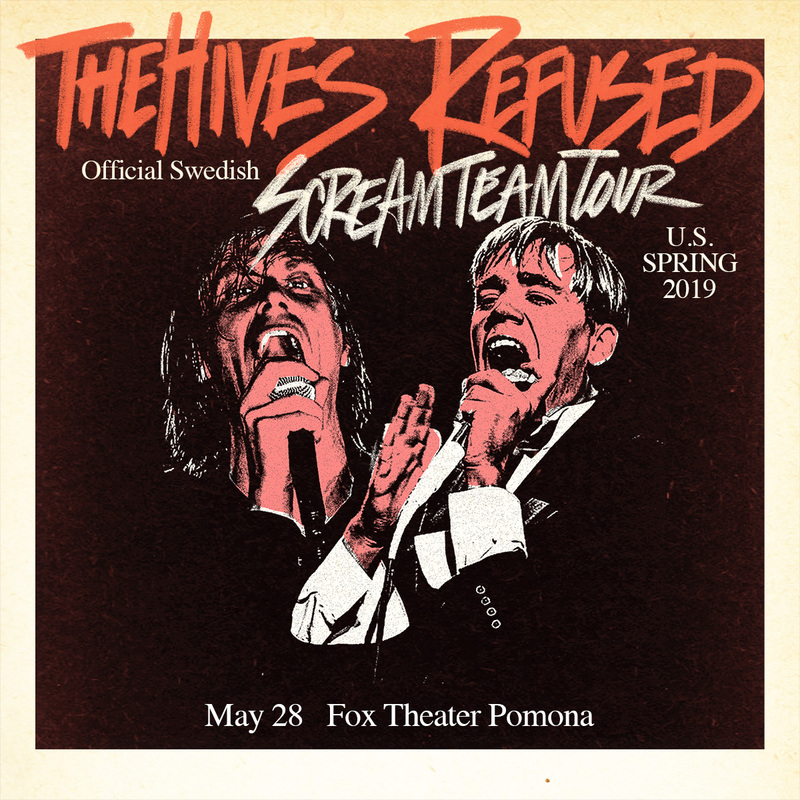 Sweden is sending us two of their best and most bombastic bands this May: the Hives and Refused are high-octane exports who each turned punk and rock inside out in their own special way. Now they’re set for a 1-2 punch at the Fox Pomona on May 28, and we’ve got tickets if you want them! Want to enter to win? Email us at rsvp@larecord.com with subject ‘HIVES’ and we’ll pick winners week of show! Must be 18+ to enter and include your full name. Winners are picked at random. Entrants may be added to L.A. RECORD’s email list to receive notice of similar future contests or sweepstakes. Users may unsubscribe permanently at any time. More on L.A. RECORD’s privacy policies here! GOLDENVOICE PRESENTS APRIL! WIN TICKETS TO THREE SHOWS OF YOUR CHOICE!